High growth SMEs have a number of options available to them when identifying and implementing the growth and investment strategies that best suit their individual needs. But it is this very diversity of options that can make it difficult to know when, why, and how to best prepare for investment and growth. Over a series of Q&A sessions with ELITE, BOOST&Co will be looking at the various types of investment available to scale-ups – companies that have reached the stage of scalability – and how to prepare for them. ELITE is the London Stock Exchange Group’s programme for ambitious companies, and helps businesses to prepare for growth and investment. In the first article in the series, we speak to Jack Hurdidge, associate at Elite UK, about IPOs. What can companies do to prepare for an IPO? The ELITE programme provides companies some form of optionality and transparency between different transaction types. Once a few parameters are met, it is possible to look at a number of growth and long term exit strategies – also including trade sales and private equity buy-outs, alongside the public markets. Regardless of the transaction type, preparation should begin with a significant period prior to initiating the process. Obviously, the business needs to have a robust, proven, and clear vision, strong business model and a strong management team. These early steps are of paramount importance and should include ensuring that good corporate governance policies and mechanisms are in place and that management and key staff are fully incentivised and aligned with the transaction. This is incredibly important, as organisational continuity is critical. Most of the companies on the ELITE programme have already done this to some extent, as they are likely to have undergone at least a Series A round of fundraising. There are of course certain nuances that are specific to an IPO. First and most important of these is to ensure that the company has the right team of advisors in place. They need to make sure that they choose their team of advisors carefully, including the Nomad/Broker, reporting accountants, law firm and PR/investor relations. Throughout the process, the management team will need to spend a lot of time with the advisory team, so they should choose firms that understand their sector and their business, as well as someone they trust and can work closely with. What are the factors that make for a successful IPO? Which of these is the most critical? What is most critical for success is the ability to clearly convey the equity story to investors during the road show period. Management and board members need to be able to book build along with the advisory team as, ultimately, these two to three weeks are incredibly important. For this reason, another element that is critical for success, is the strength of the management team. Investors look for a quality management team with a good track record – having prior plc experience is a bonus. In addition, the board needs to have been in place throughout the preparation and execution phases to ensure continuity and to develop trust. This is one of the things we highlight on the ELITE programme – the importance of having an experienced board in place. As you scale it’s important to have a board that is sufficiently diverse, well balanced in terms of skills, and one that is governing the strategy of the business – not the day to day operations. What is the most common mistake that companies make preparing for an IPO? Poor timing – Timing is critical, as rushing through the process can lead to fundamental failures. Companies must exercise their window of opportunity, and align the timing of the IPO with the businesses results calendar. Board and management teams – Having the wrong board in place, or failing to fully incentivise the management team. If a company loses a member of the c-suite prior to the IPO date, this could have a significant impact. Valuation – Working with its advisors, the management team should educate itself so that they have a reasonable valuation floor and ceiling in mind. 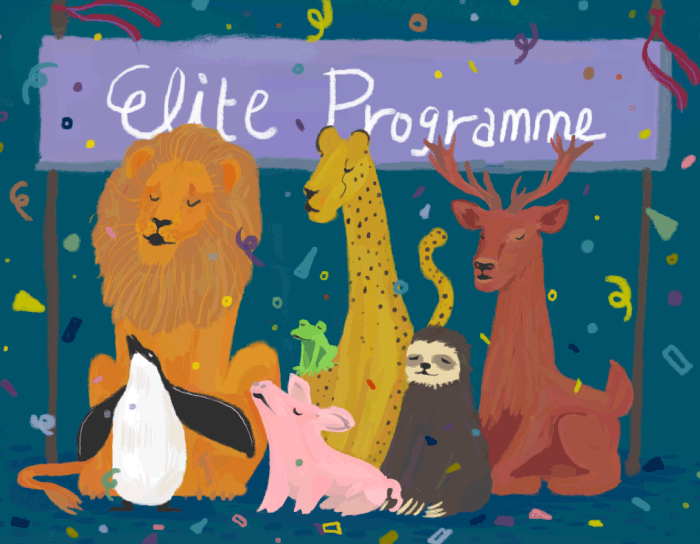 What is the Elite programme, and how does it support businesses in their growth journey? ELITE is London Stock Exchange Group’s business support programme designed for highly ambitious private companies that are already highly successful. It is a platform for scale-ups – companies that are preparing for the next stage of growth. These companies tend to have a minimum annual revenue of over £5 million, and most will have received at least Series A funding. Their growth rates are usually in the double digits. There are unique challenges inherent to this stage of growth, and it is the area in which we feel we can best help businesses. We help demystify some of the processes and transactions that scale-ups face. Regardless of growth strategy and whether the company is interested in an IPO, venture debt funding, or raising equity finance, we provide access to a community of people who have either already faced these challenges, or are currently experiencing them. ELITE gives management teams a level of empowerment that allows them to make more informed decisions for their next stage of development. This empowerment can come from the reassurance that they are in line with global best practices, regardless of industry; or by highlighting areas for improvement and then providing the tools to do so. ELITE companies need to display a high level of ambition, which we then match with access to finance, skills and knowledge. It is a self-perpetuating ecosystem, as everyone’s needs are aligned – investors and advisors are able to reach high quality companies, and businesses have access to a deep pool of skills and knowledge. Our relationship with the London Stock Exchange provides convening power which makes us a natural intermediary between companies looking for support, and those with the ability to provide it. Whatever their growth journey, ELITE is able to support companies through it. For more information on how BOOST&Co helps scale-ups to grow to the IPO stage, go to http://boostandco.com/our-products/. For more information on the London Stock Exchange’s ELITE programme, visit https://uk.elite-growth.com/.